Growing up, your parents probably told you to eat your fruits and vegetables to stay healthy and strong. Although this is true, it doesn’t mean that you should be eating them blindly either, thinking that you’re automatically healthy. For those who are not aware, there are actually some fruits and vegetables with hidden properties that could potentially have a negative impact on your health. Likewise, there are some that may have incidental harm such as pesticides or neonicotinoids. Mangoes are rich in soluble fiber, and one of best sources of vitamin A. They’re a quintessential summer fruit, however they are also rated the highest in total carbs. 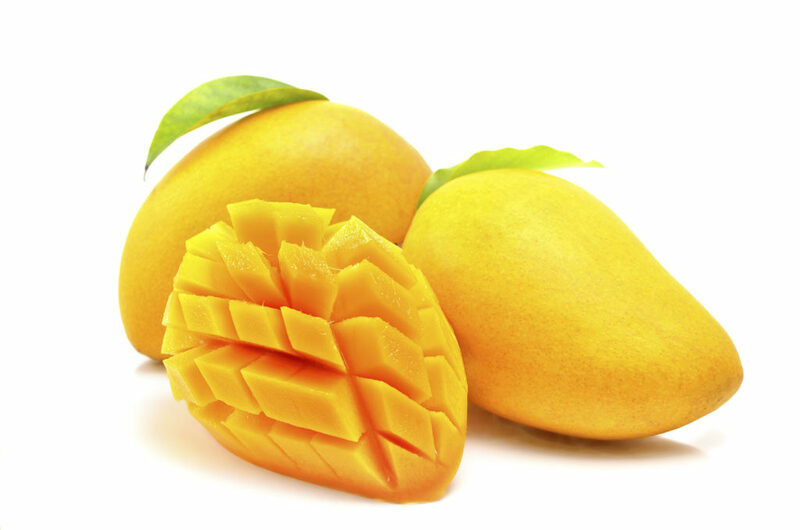 One mango has around 31 grams of sugar. That means if you’re watching your sugar intake, this fruit should always be considered as one to consume moderation. A member of the nightshade family, potatoes are one of the few vegetables that have high levels of solanine, a poison that affects all animals. Although healthy individuals won’t feel any side effects from normal consumption, both the young and the old can be affected when levels are increased. This poison can cause severe digestive distress. Potatoes naturally produce solanine as a defense mechanism against insects, disease, and herbivores. If green color (chlorophyll) develop under the potato skin after long exposure to sunlight, it could be an indication of increased solanine levels and should be avoided. Solanine poisoning affected nearly a hundred school boys in Britain but due to immediate and effective treatments the effects were not fatal. However, you should always treat potatoes, even properly cooked, with caution. It’s true that they are rich in vitamins, minerals, and fiber, however, summer squash is usually contaminated with organophosphate insecticides, making them hormone disruptive and toxic to insects. Aside from that, they’re also included on the oxalates list. An estimated 80% of kidney stones are formed from calcium oxalate. Those with kidney disorders, gout, rheumatoid arthritis, or certain forms of chronic vulvar pain are typically advised to avoid foods high in oxalic acid.